2 beautiful, detached stone properties with income potential. 8 beds, 4 bathrooms, 5 acres. 2km from the lakes of the Haute Charente. Close to lakes with beaches, restaurants, bathing & sailing, 17km from a golf course. Both . 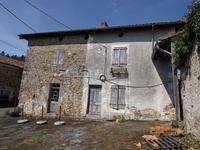 . .
3 bedroom house with courtyard garden, barn & another house to restore. Very close to the leisure lakes of the Charente. 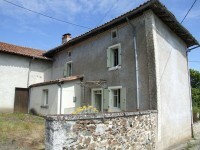 Renovated house with large garage/barn and another house to renovate & barn, all situated . . .
Barn and 1800m² of land with CU renewal applied for. Barns and 1800m² of land. Angouleme is 44km away, with its direct TGV rail links to the UK . . .
Two attached houses and hangar barn to completely renovate, close to the golf course and leisure lakes. Two attached houses, hangar barn and garden. 3kms from a golf course and convenient for the . . .
2 houses to completely renovate. 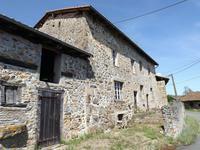 Attached barns, detached barns and outbuildings, lake and 4 Hectares of land. 2 handsome looking houses with character to renovate in a hamlet. Barns and lake. Angouleme . . . This is a lovely property, retaining its original appearance and many of its original . . .
A very well situated property comprising a house to renovate and attached workshop/garage in . . . 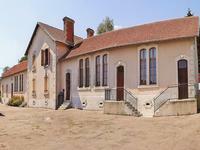 This substantial building is located in an attractive tourist area, the Lakes of Haute . . .
House set in a picturesque village 17km from a golf course and 17km from Massignac & the . 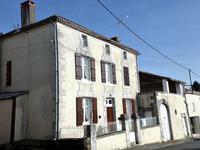 . .
Two adjoining houses to renovate, in a hamlet overlooking one of the lakes of the Haute Charente. Situated in a hamlet close to Massignac (6km) Chabanais (13km) & Rochechouart (16km) with all . . . Most of the work in the attached outbuilding has been completed, to create a large living . . .
Delightful, perfectly habitable property. 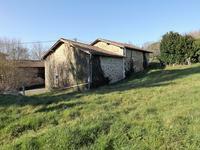 3 bedrooms, large attached barn, lovely veranda with great views. Ideal holiday / permanent home. This handsome looking property with character is perfectly habitable. Large kitchen, living . . . Renovation to complete of former shop, in a small village within walking distance to bar-restaurant. Detached garden and garage. 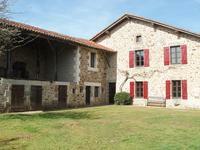 Close to the popular leisure lakes of Haute Charente for swimming, sailing, horse-riding, . . .